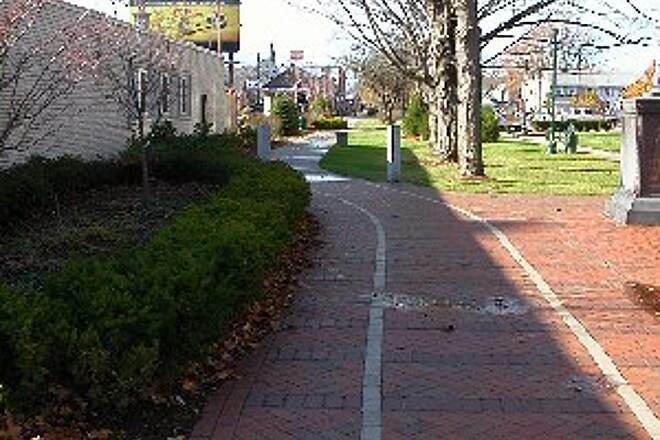 The Nashua Heritage Rail Trail begins adjacent to City Hall on Main Street in downtown Nashua. 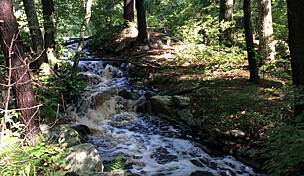 It is a short trail that takes you through one of the first neighborhoods that was planned and built in conjunction with the creation of the textile mills. Be aware that there are many street crossings. The designers added a few curves to the trail when the width allowed for it. 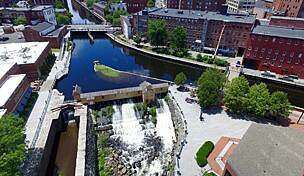 The trail is a celebration of Nashua's history. 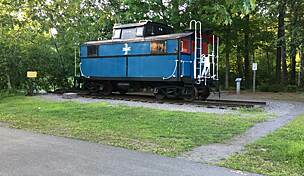 The city was established by the Nashua and Lowell Railroad in 1938 as the first railroad township and first link in the Great Northern Railway from Boston to Lake Erie. Indeed, the Nashua and Lowell Railroad was the first railroad to operate in New Hampshire. 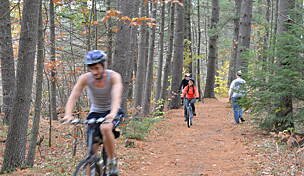 The trail is part of the original 45.3-mile-long corridor that stretched from central Massachusetts to Nashua. 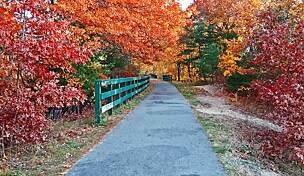 This is the same corridor shared by the Nashua River Rail-Trail, which begins in the southern part of Nashua and ends in Ayer, Massachusetts. 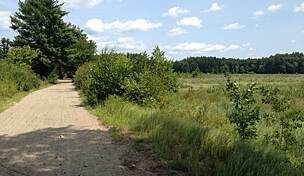 For a longer trail experience, you may use a combination of on-road an off-road routes to link up with the Nashua River Rail Trail. Take a left out of the trail on Will Street. At the first intersection, take a right onto Simon Street. Follow until you reach Whipple Street, where you will take a left. Follow this to the end where the Mine Falls Park begins. Follow the trail to the west until you get to the Nashua High School South, where you will connect with Riverside Street by the playing fields. Follow Riverside Drive to State Route 111 west (West Hollis Road) and take a right. 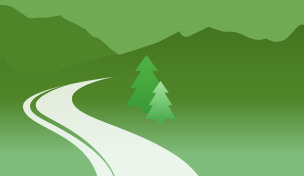 Continue until you reach Countryside Drive and take a left. The trail is located across the street from the end of Countryside Drive. There are no bicycle lanes on the on-road portions of this route. 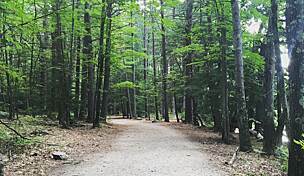 You can also connect to the trails in Mine Falls Park, including the Nashua Canal Trail, via a short on-road connection (7th St.). To get to the Nashua Heritage Rail-Trail from US 3, take the exit for SR 111 (Nashua/Pepperell). 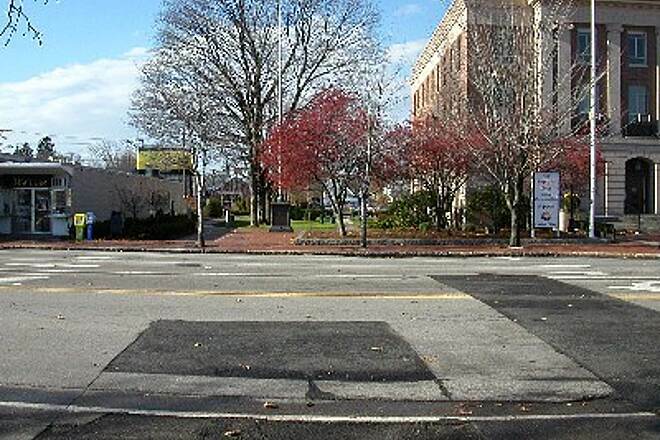 Follow signs for Nashua (the road heads right at one point) and then for City Hall. The trail begins at City Hall. There is metered parking in the City Hall parking lot and there are other public parking lots close by. 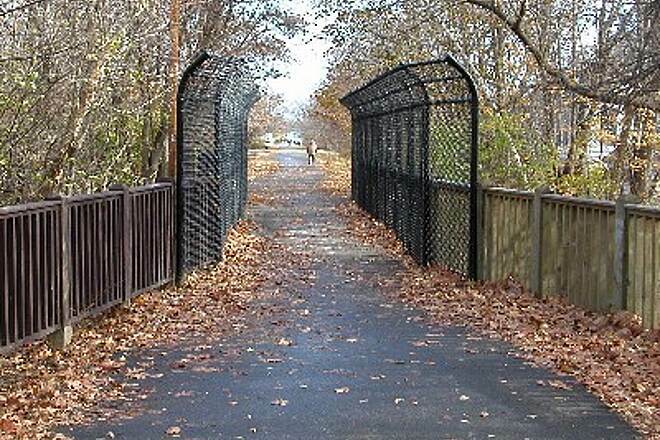 The Nashua Heritage Rail-Trail DOES NOT connect to the Nashua River Rail Trail. 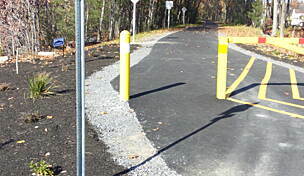 The Nashua Heritage Rail-Trail DOES NOT connect directly to the Nashua River Rail Trail. 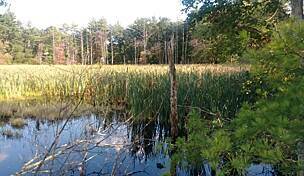 For information about the Nashua River Rail Trail, see the page for that trail. 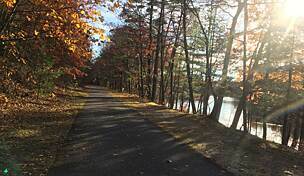 The Nashua Heritage Rail-Trail, while short, connects directly to the Nashua River Rail Trail that goes on down through Pepperell, Groton, and Ayer, Massachusetts. It's a very nice ride with pretty nice countryside to see along the way. 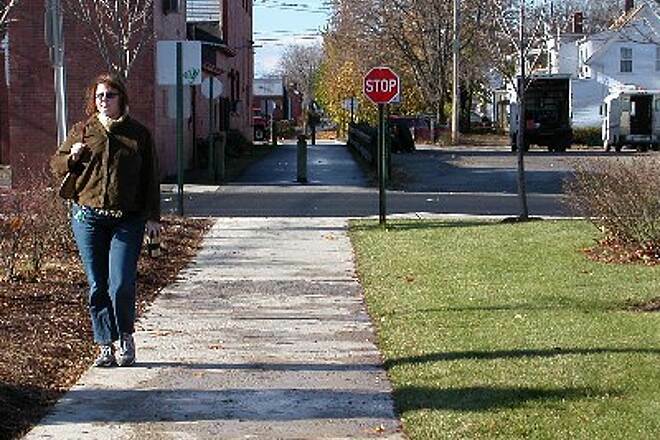 In Pepperell, there is a small ice cream stand for those who feel the need for a little pick-me-up, and in Groton center, riders can ride a short distance up Station Avenue to the Town Hall where there are water fountains and granite benches under the some wonderful trees for shade. "There is a problem with snowmobiles on this trail. 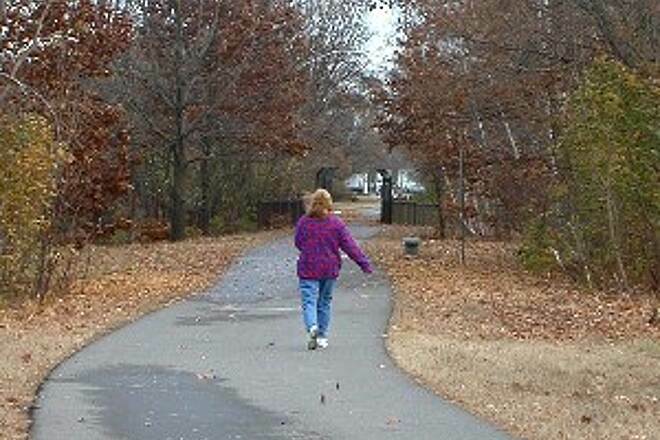 Can someone explain why snowmobles are on the railtrails in Nashua and Mass, and how we can control there use?" "The trail is obviously too short for biking, although it is allowed, but it's still a pleasant paved corrider running along W. Hollis Street. The trail begins adjacent to City Hall where a monument denotes John Kennedy's first stop in his run for the presidency."